This is the south side of Scarlet Moon Hall which faced the players at my table. 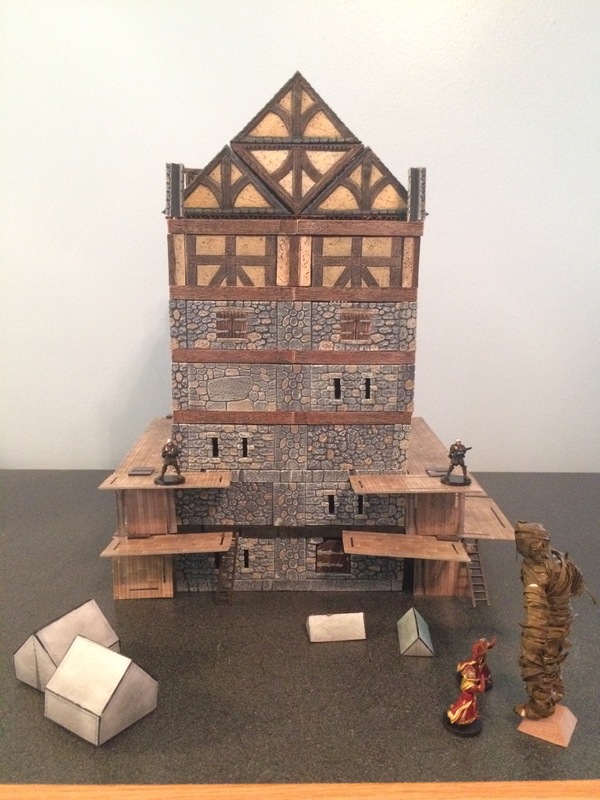 Six floors are recreated in Dwarven Forge city builder terrain, with the concession that in-game each floor is 15 feet high, but at the table a given floor is represented by wall terrain that is scaled to only around 5-7′ tall (due to limitations in how you can stack Dwarven Forge building terrain). The scaffold on either side is composed of D&D Dungeon Tiles. In the foreground are papercraft tents and a custom Wicker Man figure.